We really like iBird Pro and have not had any problems with version 11.0 on iPhone 8 or iPad Air 2. The illustrations with field marks and photos help a lot with identifications. The bird sounds are also very helpful. My wife and I have enjoyed using it for several years, especially last spring when a Cooper's Hawk built a nest and raised a family in our neighbor's tree. A few months after the hawk family had moved on, my wife was in a nearby town doing some shopping. She came out of a store to find a large crowd gathered around her car. Thinking somebody had hit her car, she started walking toward the car until somebody warned her not to get too close. On top of the car was a Cooper's Hawk with a dead rabbit. Whenever anybody tried to 'shoo' it away the bird threatened them with loud calls and thrashing wings. My wife took out her phone, launched iBird Pro, turned the volume up loud and played the Cooper's Hawk alarm call. The hawk on the car looked surprised and puzzled, looked around for another bird, then took off carrying it's prey. Everybody was astonished and my wife was pleased and proud of her quick thinking. One of the women in the crowd asked loudly, "What app is that? I want to buy it!" You probably got several new iBird Pro customers as a result. I have been trying to figure out how to email the developer but have not been able to figure it out. 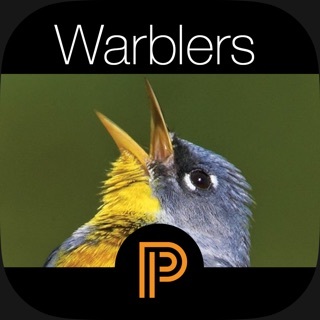 This was my go to App for Birding until a recent update seems to take away the ability to search by month and state. You can still search by state but not by month. It is frustrating because I like to use this app not only in the field but when I am planning for a trip. I am currently hoping to go to Arizona in May and I cannot use this app for review because I cannot get a relevant list up. Maybe they think that the “Birds Around Me” is an upgrade but it doesn’t help when you do not have a cellular connection and it definitely doesn’t help in planning for a trip. I still think it has the best collection of vocalizations of any App out there which is why I gave it a three, and I will correct my rating if this gets fixed, but I will literally have to be looking for a different app to use if it does not get fixed. I believe you are confused about the way Birds Around Me works; it DOES NOT require a cellular connection. It only requires a view of the sky so it can see the satellites. Put your phone or iPad in airplane mode then try using BAM. It will use your Latitude and Longitude to locate your position and tell you exactly what birds you are likely to see at that location. If you do have a internet connection you can use its address look up feature. This is the way ALL maps work on smartphones today, its got nothing to do with iBird. As you can see by the fact iBird has the highest average rating of ANY birding app in the store, the vast majority of our customers love BAM. We had to remove the State Month feature because its result were inaccurate and supporting it was not reliable. So I'm sorry to disappoint you but we won't be bringing it back. I’ve had this app in my phone for a few months now, and I have not opened it even once in the field. 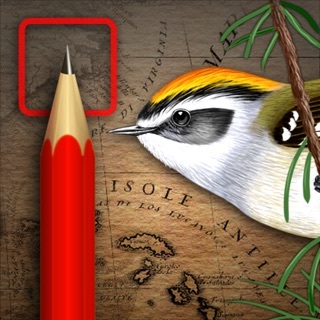 I find it generally difficult to navigate, not to mention that there are much better FREE field guide apps out there. Also, I heard an interview on a birding podcast, This Birding Life, from quite a few years back of the maker of this app (Mitchell Waite): he essentially said that he sent poor artists in third world countries photos and illustrations of birds and asked them to put their own spin on it so it wasn’t straight-up copyright infringement. He was very proud of “outsourcing” and getting this work done on the cheap. Perhaps this is also why some of the images are not that great. Most bird guides with illustrations include paintings done by people who have actually seen these birds in real life, so the results are much more true to life. Don’t waste your money. 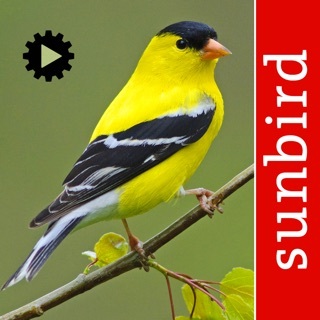 Get Merlin Bird ID or the Audubon apps instead; they include a good field guide with other great features, and they’re free.